Mass and energy are equivalent but not identical. The definition of mass is compressed reticular matter, which accumulates elastic energy. Concept of inertial, gravitational, and relativistic mass. 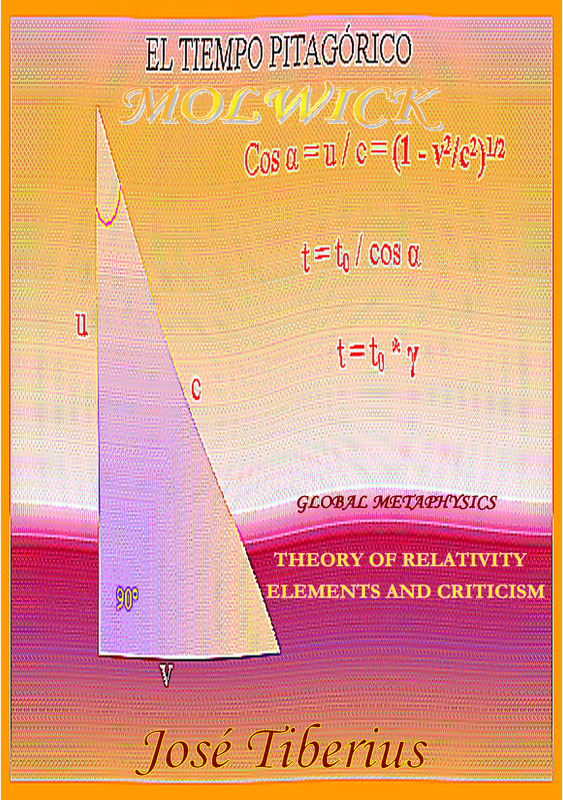 Global Physics explains the concept of the Global Aether –reticular structure of matter supporting potential gravitational energy, kinetic energy, and mass– in the book Global Mechanics. Likewise, the book Physics and Global Dynamics includes a definition of energy as a property of Global Aether. On this page, we will comment and criticize the definition of inertial mass of Classical Mechanics, the definition of relativistic mass and other related concepts. According to classical mechanics, the second law of Newton states that if a force acts upon a body, it will acquire acceleration directly proportional to the force applied, where the constant of proportionality will be its inertial mass. Consequently, a constant force could raise the velocity of an object indefinitely. This aspect contradicts the impossibility of exceeding the speed of light in relativistic mechanics. However, relativistic physics maintains Isaac Newton’s principle of equality between inertial mass and gravitational mass. The conservation of this principle is slightly artificial, as the precession of the orbit of Mercury, the rest of the planets, and stars show the opposite unless space would stretch to attain the quadrature of the orbital circle. The Merlin effect in the book Physics and Global Dynamics explains the small deviation between gravitational mass and inertial mass. Furthermore, the new perspective of the definition of mass, which provides the book Global Mechanics, makes both concepts of gravitational mass and inertial mass unnecessary and imprecise; because the new concept focuses on what is mass made of instead of how it behaves. Nevertheless, both concepts are complementary for a better understanding of reality. The most notorious consequence of the postulates of Albert Einstein’s Special Relativity was the equivalence or conversion between mass and energy. Where m is the mass –or relativistic mass– of the body, m0 is the mass at rest or proper mass and v the velocity. The mass of a body is greater when it is in relative motion regarding an observer than when it is at rest. The first experiment, which confirmed relativistic mass, was the discovery of Bücherer in 1908 that the relation between the charge of an electron and its mass (e / m) was less for fast electrons than for slow ones. Subsequently, an uncountable number of experiments have confirmed the above results and physical formulae. Energy and mass, therefore, turn into two manifestations of the same thing. The principles of conservation of mass and energy in classical mechanics become the more general relativistic principle of mass-energy conservation. The trick is to measure always the mass at rest, and if the object moves within a system, to integrate it into the physical system, calculating the mass of the whole system at rest. One could also define the second with the Cesium atom at rest and a particular gravity –then all of the Relativity would be formally incorrect. If the mass cannot be measured in motion, I wonder where the concept of inertial mass lies or how the equivalent mass to kinetic energy is found. Up until this point, it has been more or less an orthodox presentation of relativistic mass. It seems more logical to us to make the deductions in the opposite order. Start with the mass-energy equivalence experimentally confirmed, and deduce the maximum speed of light instead of postulating it as a mathematical axiom. Afterwards, there should have been a search for a physical explanation of these phenomena, instead of subordinating the physical theory to the mathematics. For example, there is the mathematical axiom of the maximum and constant speed of light and Global Physics maintains that it is neither maximum nor constant. However, it is fair to recognize that some quantitative explanations of relativity are very impressive, such as the precession of the perihelion of Mercury– although in 1898 Paul Gerber explained this precession 20 years before the relativistic physics with the same exact formula. Nevertheless, The Global Physics also explains it using the same formula under an alternative paradigm of physical reality. Some of the misleading coincidences, the cousin's paradoxes, and the points described in section Relativistic physics and mathematics relate to the definition of relativistic mass. When making predictions, conceptual mistakes appear, and they appear again when interpreting the results of numerous physics experiments. In this case, the elemental bases of the scientific method would breach. Every device that uses modern technology could be a device of Lucifer; usually, it will contain metal in its mechanism, and it will use electricity. Moreover, the precision of measuring devices in this topic is extremely conditioned by the nature of the physics experiments, as if the very mass and energy of these devices could be affected, and it could get confused with changes in space and time. It occurs with clocks –especially if they are atomic clocks– on spaceships; speed and gravity disturb their mechanisms, due to the effects of the resonance of mass, and they end up losing the synchronization that they previously had, but it does not have anything to do with the relativity of time. Another example, the speed of light is maximum because of the application of the Lorentz formulae, not because it verifies when measured. Otherwise, it would not be necessary to do this transformation. Nonetheless, there are not always mistakes; Astronomy is continuously providing new and contradictory data. A different problem is the existence of so many facts derived from the application of current laws. The mass of the planets and distances between them are prominent examples of these cases. It is also fair to say that the calculations they take into account possible interrelations between the data. Let us see an example of how the measurements of many properties are not as perfect as one would think. We do not mean to say that they should be better; on the contrary, we merely wish to state that the real limitations were more significant than what the public thinks. Perhaps one of the most influential causes of certain confusions is that popular science programs always try to show the most advanced and impressive parts of science while minimizing the small setbacks, though sometimes they can be insurmountable. Now, both the mass and the radius of the Earth are values obtained indirectly. One also has to take into account the difficulty in determining the radius with exactitude down to the millimeter, as there is no line drawn to the surface of the globe. In fact, gravity changes from the Equator to the Poles, because the Earth is somewhat squashed. It also varies due to the effect of the centrifugal force, as is shown by the experiments Vinyl-Disc, Petrus Wave, and Spinning Top. Moreover, it is very probable Earth is squashed because of the effect of the centrifugal force in the long term. The same happens with the mass; we do not have scales large enough to weigh the Earth as we do with little balls. We would even have to take into account the variations in its kinetic energy. Of course, it would be nice to know the preferred reference frame of kinetic energy. Global Physics states it is the Global Aether. Besides, there are different types of mass. For example, mass that corresponds to kinetic energy has different characteristics to mass at rest, as its spatial configuration is different. The conclusion we want to reach is that the Theory of Relativity is not necessary to deduce that mass increases with velocity and that the mathematical relationship is the inverse of the sine. This connection is typical in theoretical physics for cases in which magnitudes depend twice on the same variable. Paradoxically, saying that velocity increases with kinetic energy could be correct from a cause-effect point of view. At the beginning of the 20th century, the maximum velocity known was that of light, and the mass of electrons increased with their speed. If observations tell us the relation is not linear, but exponential, I do not believe it would have been tough for someone to be able to find the following existent mathematical ties between mass at rest and total mass [2a] and [2b]. In fact, this would have been more probable if these relations were only observable at velocities close to the speed of light. From the conceptual and mathematical meaning of the equations  [2b] and , one reaches the famous equation  without using relativity at all. In fact, it seems that it was Olinto de Pretto, an industrialist, and mathematician from Venice, who first published the formula E=mc² in a scientific magazine called Atte in 1903. In other words, mass or some types of mass increase with velocity, or the other way around; but no relativistic hypothesis is necessary, it is a physical phenomenon like the changes in the state of water from solid to liquid to gas. This famous formula –originally from Olinto de Pretto– is the most striking contribution of the Theory of Relativity because it is the theoretical basis for the atomic bomb. Where m is the mass or relativistic mass of the body, m0 is the mass at rest, or proper mass and v is the velocity. It may seem like a very complex formulate, in fact, it is effortless. Relativistic mass is a function of the product of the mass at rest and the inverse of the sine of the angle formed by the velocity and the speed of light if they were a leg and the hypotenuse of a rectangle triangle, respectively. From a different perspective, mass obtains speed when a force applies to it. The additional energy of the mass is kinetic energy, and General Physics quantifies it. Therefore, we have that when kinetic energy increases mass increases, and it seems evident that the inverse process also exists. On the other hand, I would say relativistic physics maintains that mass depends on each observer or reference system. It still seems quite strange; either mass is not something physical after all, or the only thing that changes with the reference frame is the collection of units in the International System of Units (SI). However, the unit of mass or kilogram has not changed yet. Focusing on the corollaries or deductions from the postulates of the Theory of Special Relativity, we can see the errors that he makes and try to understand or figure out the right laws of physics, with abstraction or distance from all the mathematics. Depending on which observer is the origin of the reference frame in space, bodies will have different masses not only for their same physical velocity but also for their same time. Sorry, not the same time, because of the relativistic definition of time, time also depends on the reference frame and consequently, the principle of simultaneity has lost its autonomous meaning. With this entire making relative the language, we cannot go anywhere! It is a problem with so much relativity, there are some relative things and others, which are not. Philosophically speaking, one can always argue against this, but we could also say that physical reality does not exist. However, I do not think we would still be in the scientific realm if we did. At most, we could be practicing the Goose Game with knives instead of dice. Reality exists, and one has to try to understand it and explain it in the simplest way possible! In Global Physics, mass depends on velocity, but the increase in kinetic mass is due to the speed measured concerning its natural reference system. The Global Aether or the reticular structure of matter that also supports gravity and mass. Let us note that natural system of reference of electromagnetic energy is not the Global Aether, but luminiferous aether or gravitational field. However, we are entering into slightly speculative topics; if it were the case, the gravitational constant G would be affected by using different reference systems that implied a different proportion between proper mass and kinetic mass. It would be due to the double gravitational force, which operates on kinetic energy –in the same way as it does on electromagnetic energy. One would have to be especially careful with the interpretation of experiments such as that of the gyroscopes on the NASA spacecraft Gravity Probe-B. The definition of movement and its particular characteristics are in the book Physics and Global Dynamics. 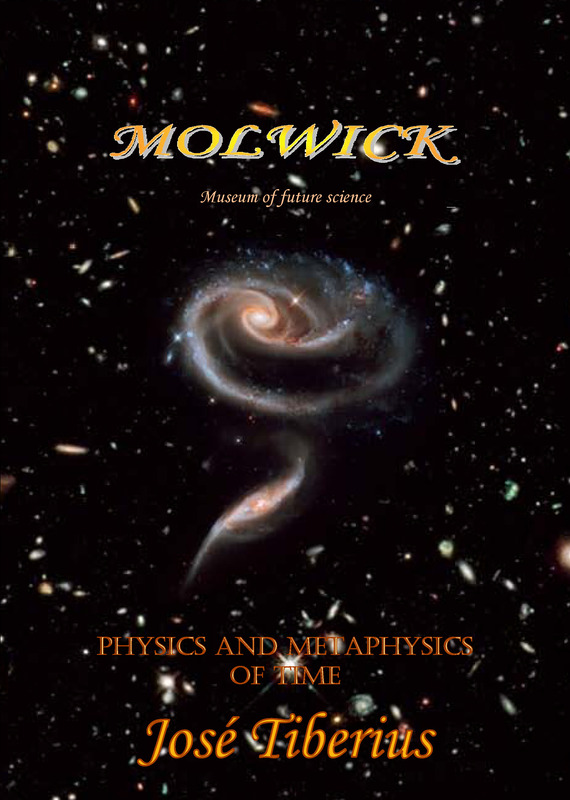 The book Global Mechanics presents a new proposition about the creation of mass; it implies not only a Great Unification Theory to explain the electroweak and the strong nuclear interactions, but also a Theory of Everything (TOE), as it also unifies these interactions with the gravitational one. In other words, and simplifying the physical model of the new theory of everything a bit, the global mass depends on the mass at rest and on the kinetic mass that modulates it, and it produces the reticular mechanism of kinetic energy. In order to start facilitating the task of identifying the different concepts of physical realities, and even the different perspectives of one single thing, I have been mentioning some terms used in the books of Global Physics. We will call global mass the concept of total mass in motion. Global mass will be a mass at rest plus the increase in this mass due to the increase in velocity. The increase in mass will be kinetic mass, and it is equal to kinetic energy divided by c². We have chosen the term kinetic mass to avoid terminological confusions with relativistic mass and inertial mass, as both of these words are used on some occasions as total mass and others as kinetic mass. Meanwhile, the concept of mass at rest is confusing; it is not a suitable designation, because of the multiple frames of reference used in relativistic physics. Consequently, we will stay with the concept of proper mass, defined as at real rest on its natural frame of reference. These concepts of mass are very important, as their origin, destination, and physical relations are different in Global Physics. The equation [2a] is now the equation of global mass. Now, the coincidence of the relation between the mass increment with velocity and the equation deduced by Einstein from his relativistic mechanics is clear. I believe this coincidence has confused the scientific community. In other words, if every time a physical phenomenon appeared following a transformation due to derived forms of Pythagoras’ Theorem; or relations between variables following the proportion of sine, cosine or their inverses, one decided to make relative time, right now we would not be able to know what year we were in. However, this is not what has happened historically; on this occasion, there were more coincidences, and they did not find the philosopher’s stone, as I have already mentioned in other sections.